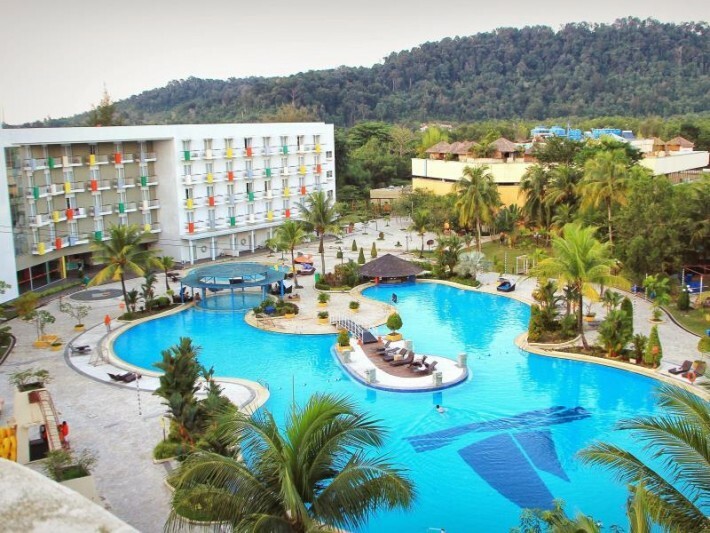 Batam is a wonderful weekend getaway idea from Pasir Gudang. It is only a 1 hour and 15-minute ferry ride away and there are lots to explore and experience in that Indonesian island. 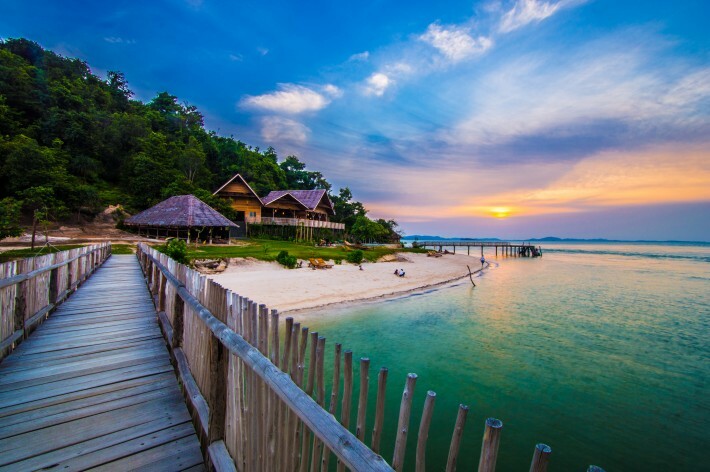 Batam is actually home to a number of resorts so beautiful that they will take your breath away. 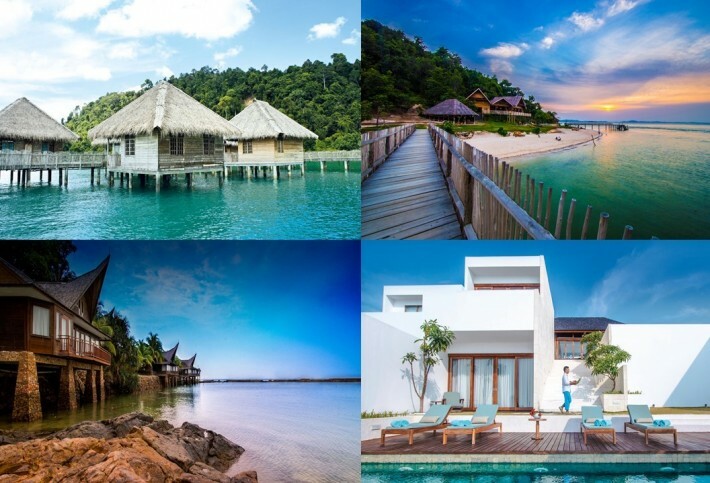 Here are 7 Resorts in Batam to stay at for a relaxing weekend getaway, where you can destress and unwind from a hectic work week. Batam View Beach Resort remains as one of the top accommodations along the Nongsa stretch that offers travellers the perfect balance between affordability and quality. 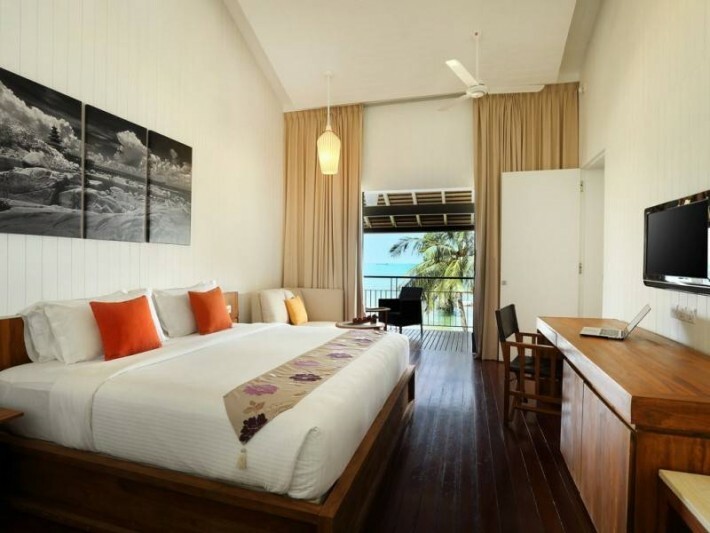 Relax in one of their popular villa rooms that provides a panoramic view of the glistening sea from the balcony alongside the soothing sounds of the crashing waves. Rejuvenate your weary soul with their in-house spa and sauna services that will guarantee to take some stress off those stiff shoulders. For those seeking an adventure, this resort offers nearly every water sport you can think of, including wakeboarding and snorkeling. For golf enthusiasts, you can head down to one of the nearby golf courses, the nearest being Palm Springs, for some good quality action. As a one-stop resort destination, the exuberant and youthful character of Harris Resort Waterfront Batam is reflected by its service staff decked in their orange brand colour and the myriad of colours on the hotel’s exterior. The standard room may come across as a little underwhelming, but its themed Japanese room with its tatami designs and lantern lighting fixture makes for a lovely feel and experience. Satellite television and in-house movies come as standard while the more premium rooms come with a private balcony and even a kitchenette. As with other resorts, there are a wealth of outdoor activities that includes cable-skiing, paintball and the flying fox. Their pride and joy would have to be their giant free-form swimming pool and jacuzzi, which is in fact the largest on the island. KTM Resort Batam boasts villas that cater to both couples and family holiday-goers with its rustic decor and an uninterrupted view of the sea that would leave you in a trance. Your journey to revert to your original, energetic form starts with the Javanese spa treatment to rebalance your bodies and minds. Following which, you can indulge yourself in a BBQ session to satisfy your deepest and most sinful cravings. The resort also offers the best of both worlds. Those who love the tranquillity and calmness of the sea can try a hand at reeling in one of their own catch of the day at the fishing deck. On the contrary, millennials who prefer something a tad more heart racing can opt for activities such as paintball or watersports. The contemporary and minimalistic facade of Montigo Resorts invokes a quintessentially Greek vibe that is evidently popular among Singaporeans. The architectural pleasing white buildings beautifully contrast with the azure blue Nongsa waters amidst the surrounding beach landscapes. The biggest pull factor for most people looking at Montigo Resorts as a dream home away from home would have to be the Mediterranean-inspired decor. The perfect blend of nature and luxury living is incorporated into each and every villa with the use of natural materials and the unmistakable shocker for most: a private pool with stunning views of the sea. Take a leisurely sunset cruise or perhaps a romantic vintage car tour of the nearby heritage village to soak in what Batam has to offer. For the visiting lovebirds, you would be glad to know that out of the range of dining options available to guests, you can do private dining by the beach with romantic candle lights. 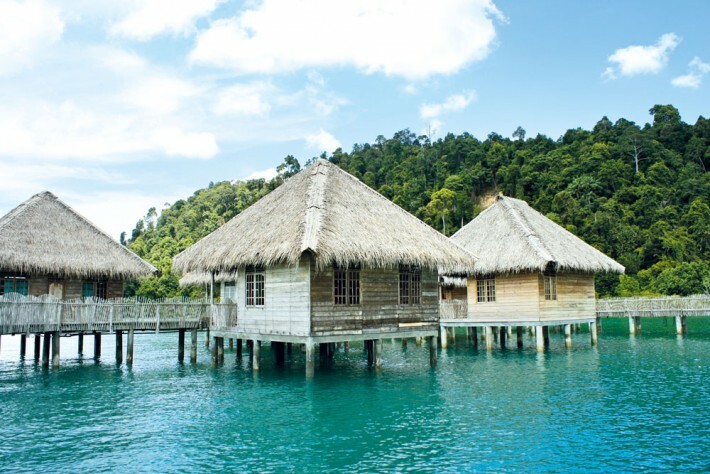 Find respite and deep relaxation at Telunas Beach Resort’ homely villas on stilts—reminiscent of the kampong villages in old Singapore. The private escape promises a distraction-free, slower pace of life as you sip on one of their handcrafted drinks while relaxing on a hammock. The sea villas are a humongous 90m² and are filled with all the amenities you would need to satisfy all the needs of the modern day traveller. You might gasp at the fact that there is no air-conditioning in the rooms, but you would be pleasantly surprised by the natural cooling from the sea below. Although there are limited activities here as compared to other resorts, they still spot a free-form swimming pool as well as beach and water activities upon request. As their slogan suggests, “there is no better time to start making memories”, and we are inclined to believe that this is the resort to embark on that cause for you and your loved ones. Like a scene from the Prince of Persia or Arabian Nights, the interior decor of the rooms at Tempat Senang Spa Resort screams opulence and luxury at every corner. The moment you lay eyes on the room when you open the door, the beautifully patterned rug, satin white bedframe curtains, and the royal maroonish red sheets with golden threads combine to give a memorable visual feast. Beyond the breathtaking room that would ensure hours of sweet dreams, the Arabian-inspired theme continues to their outdoor pools, which provide a fully immersive experience for guests. Other activities available for guests would be the spa services that use the perfect blend of essential oils to evoke your senses. Set on 7.7 hectares of beautiful greenery of the Nongsa tropical forestry, the Turi beach Resort features a modern yet minimalistic accommodation that gives guests the perfect sea view from dawn till dusk. The contemporary wooden timbre design cottages come with a private balcony; the premium suites come with a private bathroom that includes a lavish jacuzzi for a spa-inspired bathing experience. The adjacent blue sea makes for the perfect opportunity for you to have a hand at activities such as parasailing, flyboarding, or canoeing—some of which are not offered elsewhere. If you prefer dry land activities, an All-Terrain Vehicle (ATV) experience will ensure hours of muddy fun as you zoom across bumps and puddles.